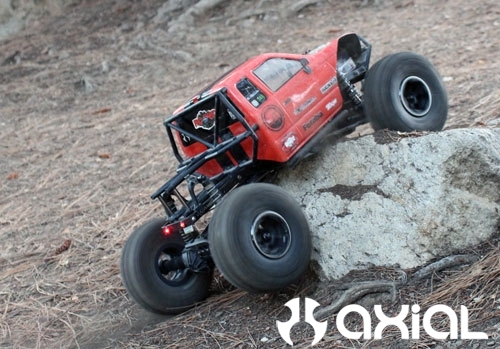 Now that Axial’s new Ridgecrest is readily available I wanted to show one of the Ridgecrest projects I have been working on. 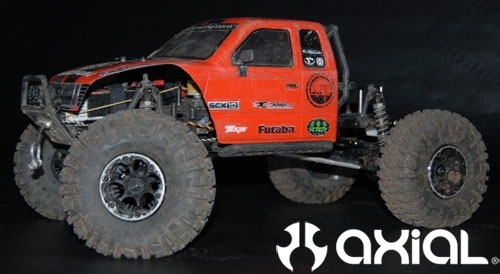 For this project I just wanted to build a do it all trail runner/crawler/basher. 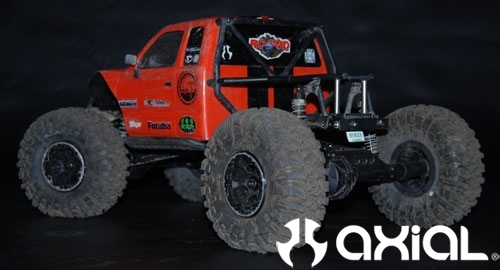 The Ridgecrest is the perfect platform for this type of build in my opinion, because of the stout AR60 axles and the well tuned suspension geometry. 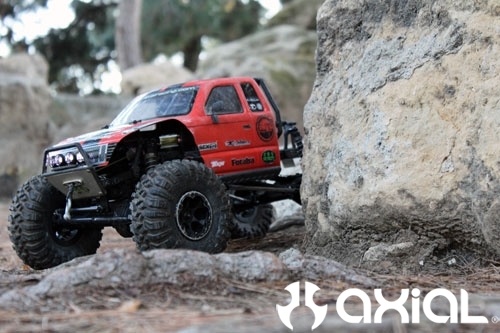 The purpose of this build is to have a rig that can handle a lot of various situations from sandy hills, to rocks and roots, a little water, and possibly some urban bashing. This project will also probably be a loaner vehicle on occasion as well, so I want it to work decent in all situations. Here’s a rundown of what I changed, and why. A couple shots with the body removed. I swapped the electronics and battery trays around so the battery now sits in front for better weight distribution. Swapping the two trays around was easy, the only thing required was a servo extension wire. The steering servo wire lead on this rig was a bit too short for me to reach the receiver after swapping the two trays around. 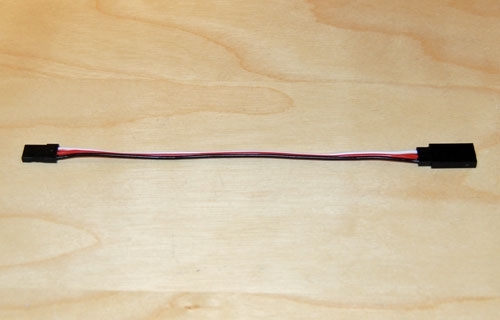 Servo extensions can be found at most hobby shops and online retailers for less than $5, so it is a cheap and easy solution. 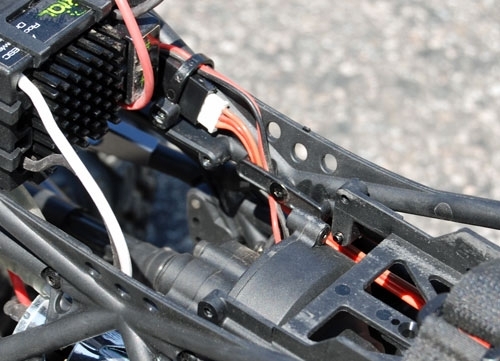 Here you can see the junction where the servo wire and the servo extension meet. I used the stock wire guide to keep the wires out of harm’s way. Also notice I moved the on/off switch to the opposite side of the chassis, just to keep wires cleanly tucked away. 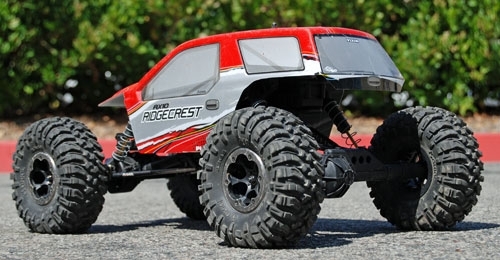 I stretched the wheelbase on this Ridgecrest to help on big rock obstacles, and hill climbs. A longer wheelbase usually helps a rig’s capabilities in these situations. So, I installed our 106mm grey links, part number AX30516, to replace the old stock plastic lower links. 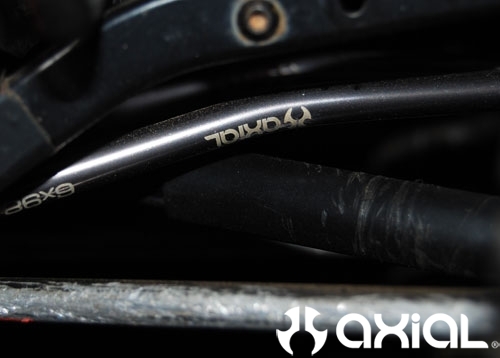 Then, I used our grey machined high clearance links, part number AX30469, to replace the stock upper links. 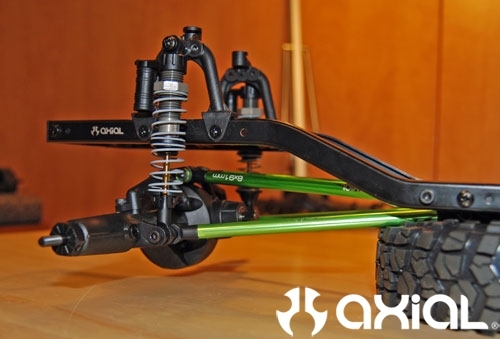 In order to stretch the wheelbase as much as possible I used our long curved XR10 rod ends on all the suspension links, part number AX80057. 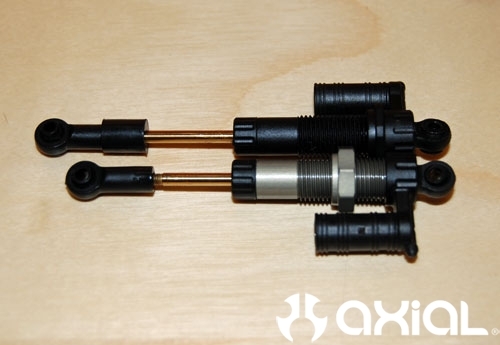 You will need 4 of the rod end parts trees total to complete the conversion, as well as M3 threaded studs to secure the rod ends to the links, part number AXA0187. 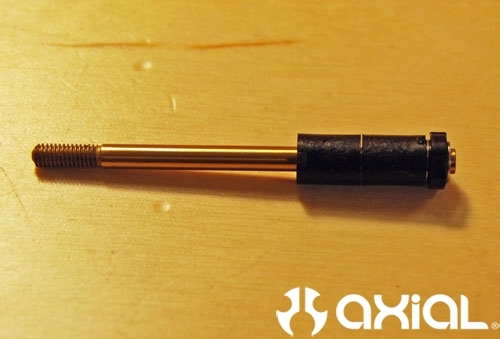 You will need two packages of the threaded studs to complete the conversion. My wheelbase now sits at 13 1/2″. 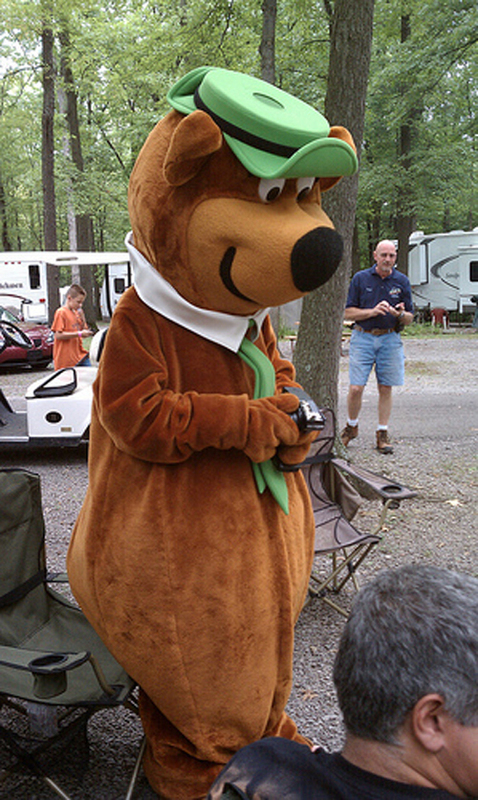 A shot of the link set-up. 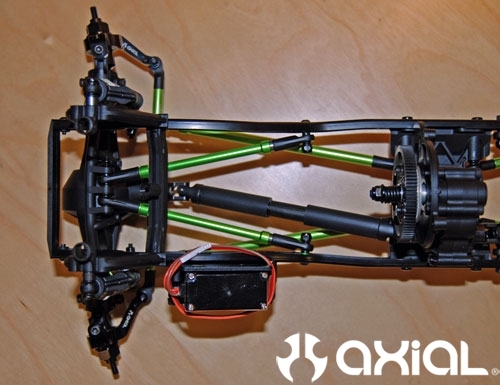 Here you can see I also installed our new AR60 machined link mounts, part number AX30830, on the axles as well. 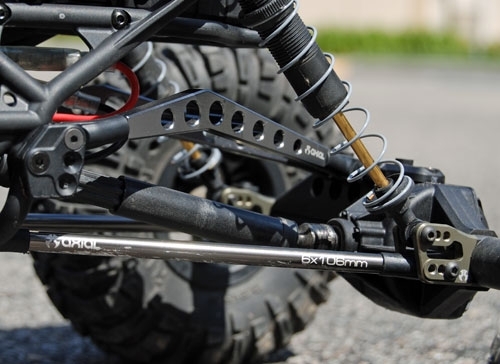 These link mounts are cool because they have multiple mounting points, which will help you fine tune wheelbase, ride height and shock angles as needed. Another modification that I made was the jump to XR10 beadlock wheels, part number AX08061, and R35 Ripsaw tires, part number AX12015. 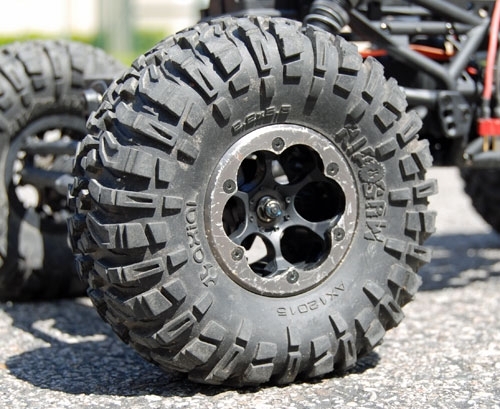 This mod is one of the best you can make, the difference in traction between the stock RTR Ripsaw tires and the better R35 compound tires is night and day. Last thing I changed was the springs on the shocks. The stock springs were a bit too stiff for my liking, so I swapped them out for our purple comp springs, part number AX30224. A few shots with the newly cut body. So far these few mods have really transformed this vehicle into a super capable basher/trail runner, that is extremely fun to drive. 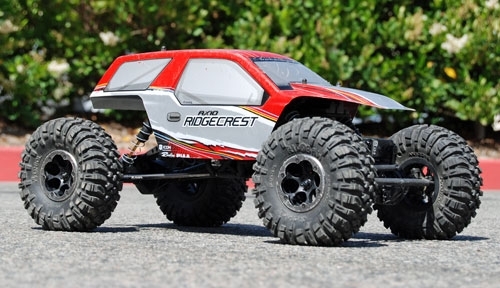 Keep an eye out for my next few Ridgecrest installments covering how to convert your Ridgecrest into a capable comp crawler. 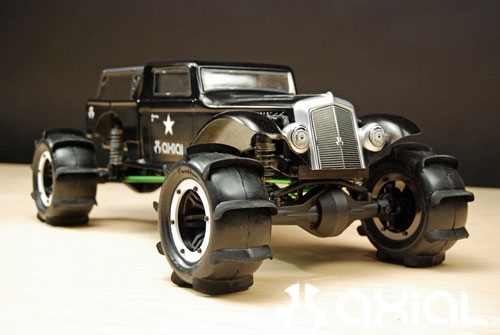 A little update on this Rat Rod FOFF build that was featured in the 100th issue of RC Driver. Now that the 100th issue has been out for a few weeks I figured it was a good time to show some detailed chassis shots. 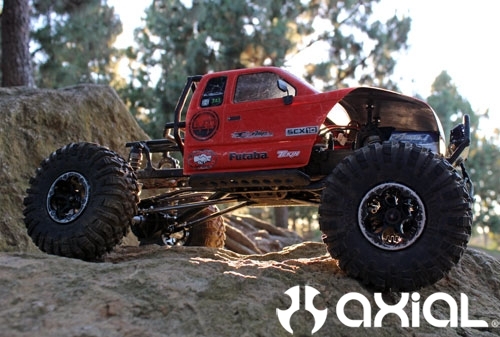 Like my last FOFF build it began life as an SCX10 Honcho. I started off by stripping the donor Honcho down to the bare frame rails. I had a certain look that I wanted to achieve with this build, which was kind of an “old school hot rod” feel. 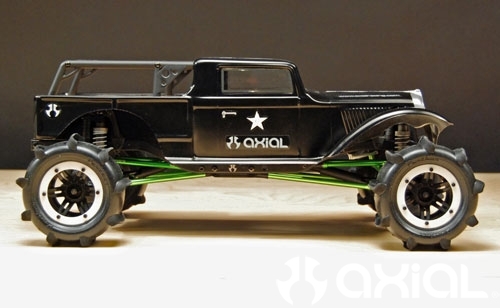 I knew that the Rat Rod body was going to be blacked out by painting it on the outside for a “flat black” look. I also knew I was going to paint the rock rings white to kind of give the wheels and tires that “white wall” look. 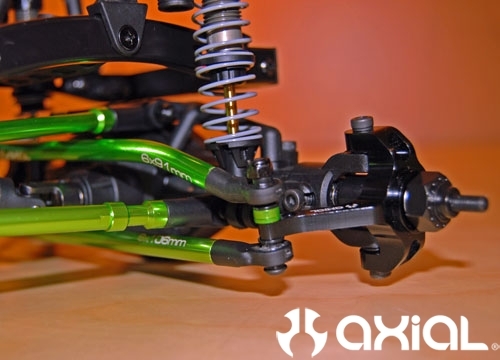 I also knew I wanted the suspension and steering links to be colored to set them off from the rest of the build. 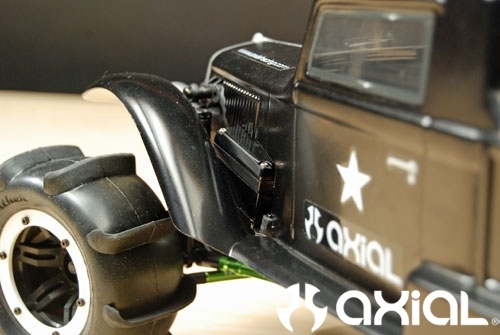 After debating for about 3 seconds what color to go with on the links, I knew that the old school Axial green would fit the bill perfectly. Here’s a few highlights from the build process. A few photos of the front shock towers. I moved them forward on the chassis, flipped them 180* and swapped the left and right sides to match the contour of the chassis rails. 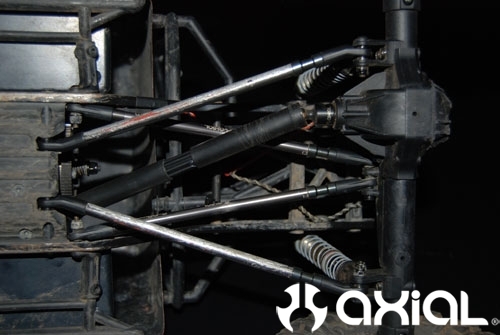 The stock frame cross member between the shock towers in these photos is for mock-up only. I ended up using the stock frame cross member that ties the radio box to the frame rails and the stock rear cross member to cap the front of the frame rails. 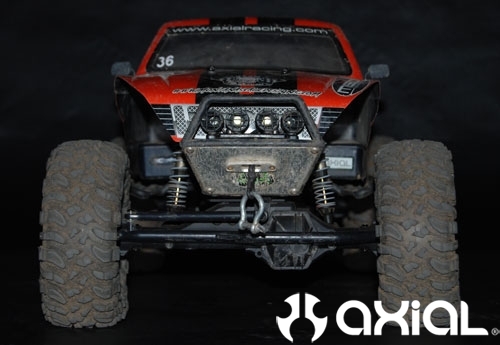 I upgraded to aluminum SCX10 shock bodies, and used the stock plastic motor plate spacers for the transmission to limit the travel internally, 2 per shock shaft gave me the desired ride height and shock travel I needed. 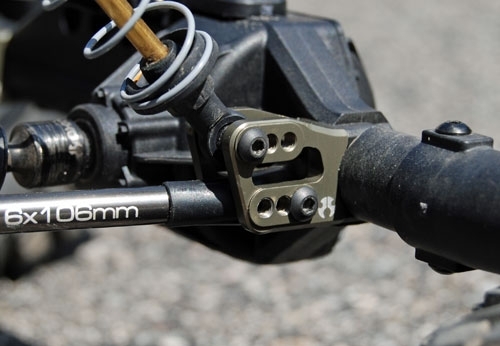 Overall length on the shocks is now 80mm. 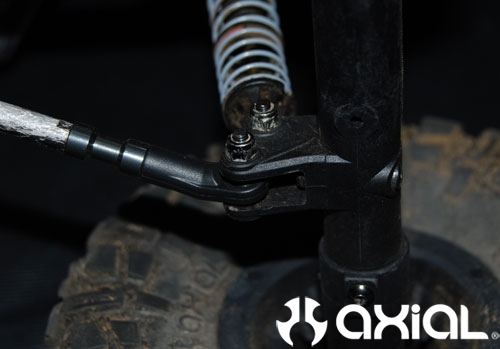 For springs I used 2 short soft springs (Part #AX30200) back to back on each shock. Here you can see the motor plate spacers on the shock shaft. 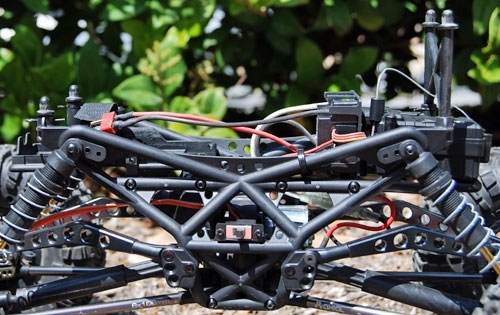 A shot of the front link set-up. 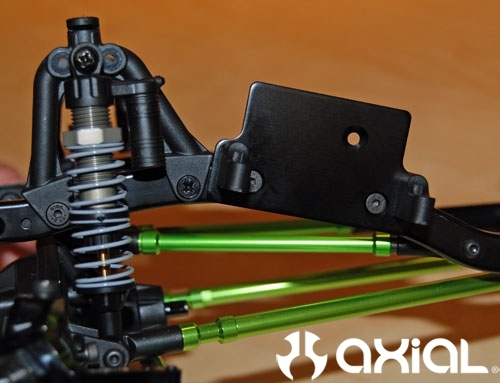 Lower links are 106mm (Part #AX30441) plus a 15mm standoff (Part #AXA1311) with long straight XR10 rod ends (Part #AX80057). 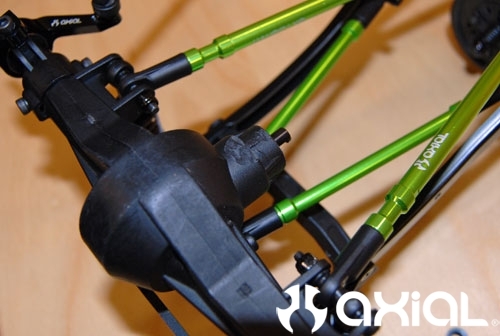 The uppers are 70mm threaded standoffs (Part #AXA1322) with 3mm spacers (Part #AXA1303) and long straight XR10 rod ends. 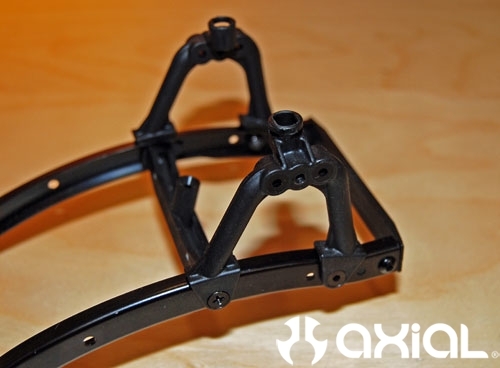 The front axle will also use our plastic upper 4 link mount (Part #AX80043). 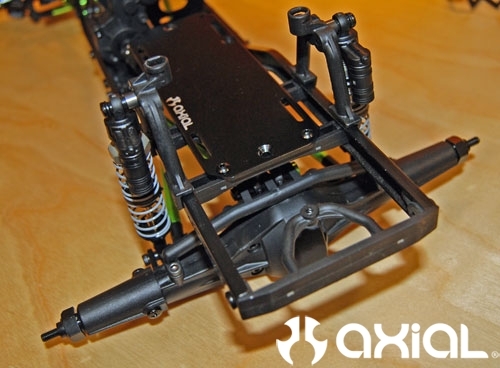 Notice I also moved the upper link mounts on the chassis from the stock location. The holes are already in the frame rails, but they need to be drilled out to an 1/8″ for M3 hardware. 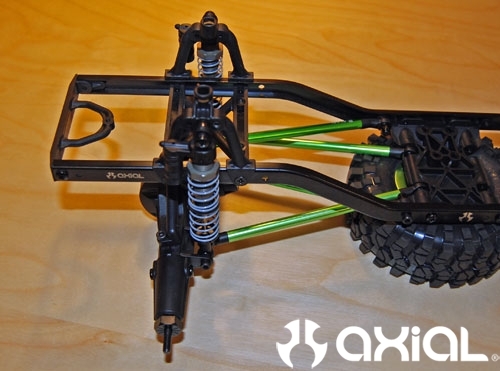 I copied my original FOFF’s behind the axle steering for this build as well. Here you can see I shaved the axle housing a little to clear the steering tie rod. 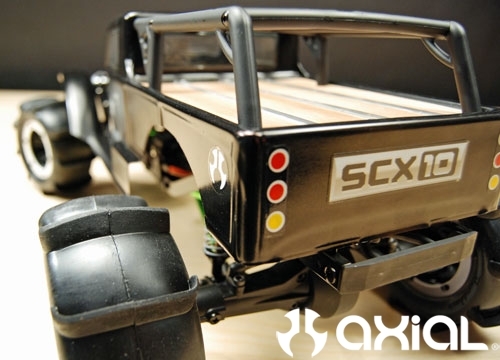 A few shots of the chassis mounted servo plate. Take your time with placement of the plate on the rails, to be sure to get a proper fit. 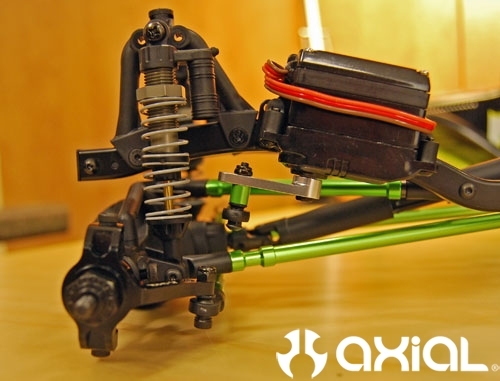 Bolt your servo up to the servo plate. Then, hold it up against the chassis and scribe the profile of the plate on the rails to make sure your holes are drilled in the proper location. A few shots with the servo mounted. 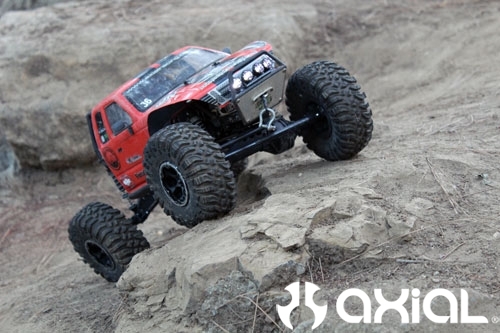 I used a stock SCX10 RTR servo for mock-up. 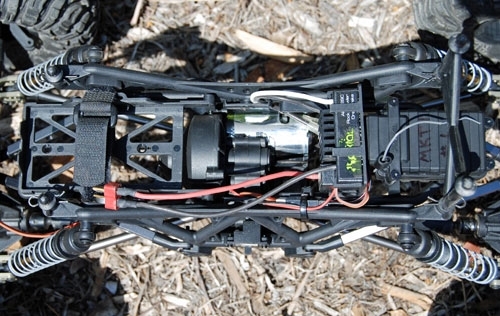 I ordered a Futaba S9156 servo to handle the steering duties. 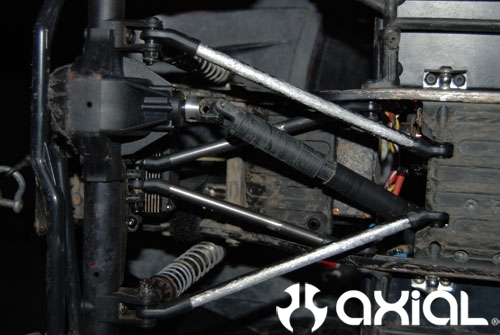 Here you can see the 6mm spacer (Part #AXA1306) I used on the servo horn to move the drag link away from the upper links. The size on this spacer may vary depending on the servo and servo horn used. For the drag link I used our 91mm (Part #30524) link. 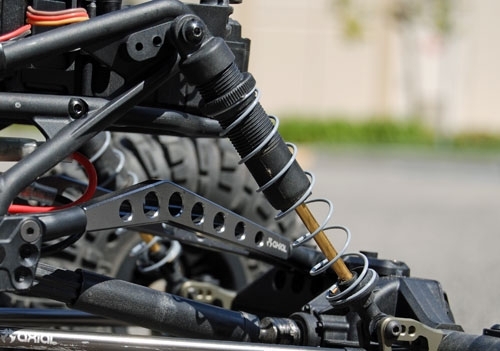 I put a slight bend in the link at the steering knuckle with one of our curved upper link rod ends in order to put less stress on the steering knuckle. My original FOFF build used a standoff at the knuckle with a straight drag link and that set-up put too much stress on the knuckle arm, which left me with a few broken knuckles in really hard crashes. This set-up relieves a lot of that stress. 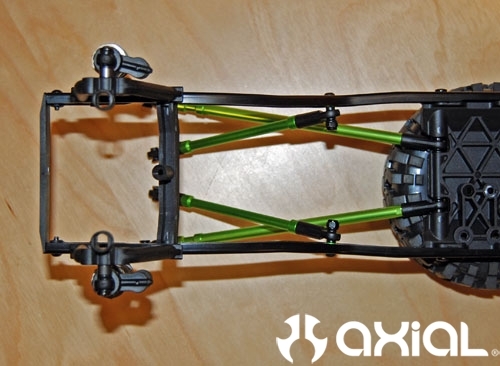 A few photos of the rear suspension set-up. 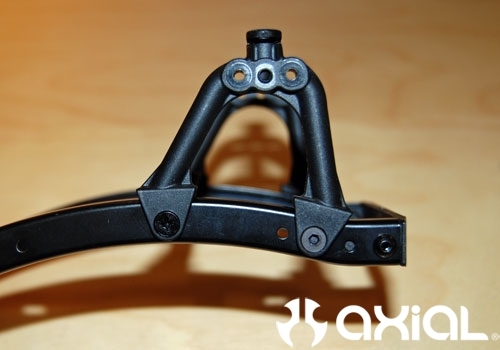 Lower links are 98mm (Part #AX30443) with stock rod ends, the uppers are 91mm with stock rod ends. 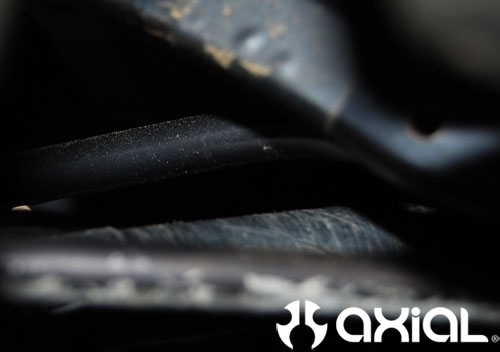 In order to keep the 48p gears in good working order, I installed Axial’s spur gear cover (Part #AX80078) to keep debris out of the pinion and spur gear. To mount the ESC, receiver and the battery I used two of our standard battery plates (Part #AX30483). For the electronics I cut about 1 1/4″ off one end of the aluminum battery plate to shorten it up, then drilled and tapped into the stock rear frame cross member. In order to mount the battery plate I drilled and countersunk two holes to line up with the stock front frame cross member where the radio box normally sits. 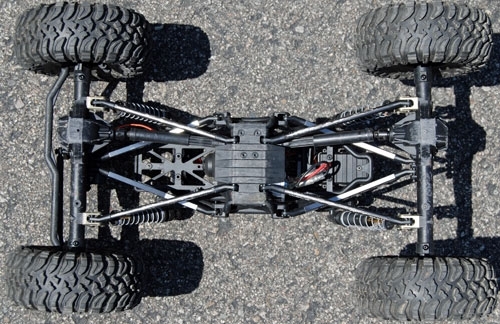 An overall shot of the chassis. A few shots with the body mounted. 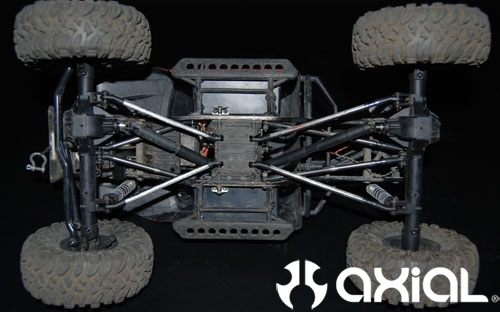 For the cage work I used a stock Dingo roll cage (Part #AX80042) cut to fit the width of the body. 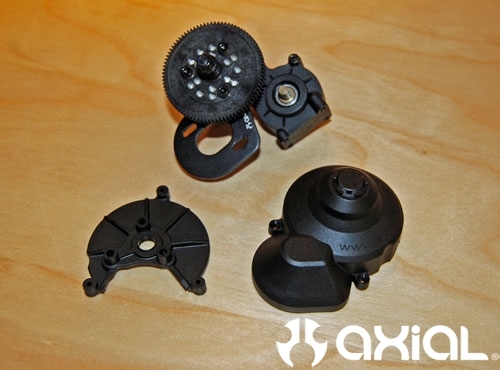 The 2.2 wheels I used on this build are now discontinued, but our black 8 hole beadlock wheels (Part #AX8097) are still readily available. 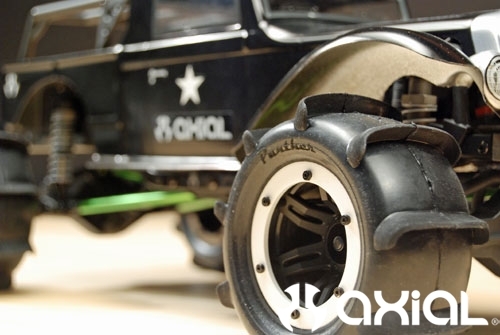 The tires are Panther paddle tires. I sanded the stock rock rings with some fine sand paper, and spray painted them white for that old school look. 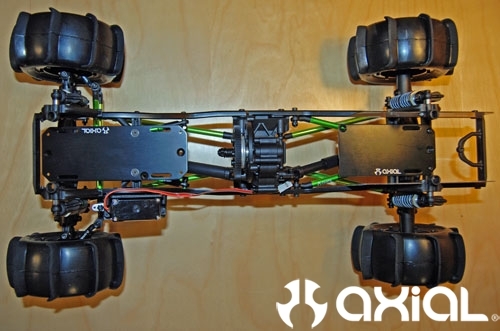 Here you can see the rear portion of the chassis protruded beyond the bed of the body. I eventually used a Dremel and cutoff wheel to trim the frame rails flush with the body, which gave it a lot cleaner look. 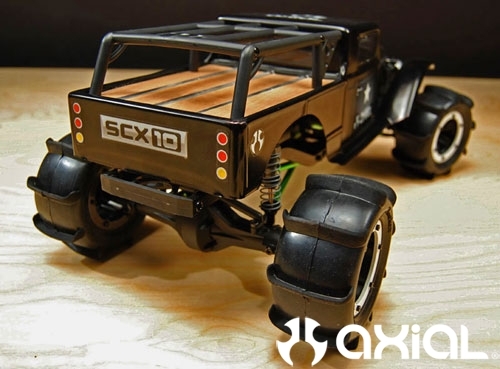 The front of the Rat Rod (Part #AX4016) body is very narrow. I had to cut the sides of the hood to clear the shock towers and servo. It was a little tedious to get the fit right, but 100% worth the time it took. 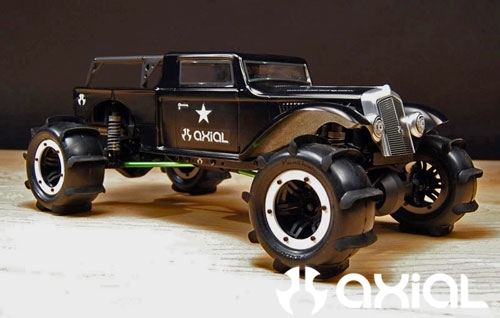 That covers a few of the custom build details on this Rat Rod FOFF. I will try to shoot some video soon. I will post up here on the blog when I am finished. 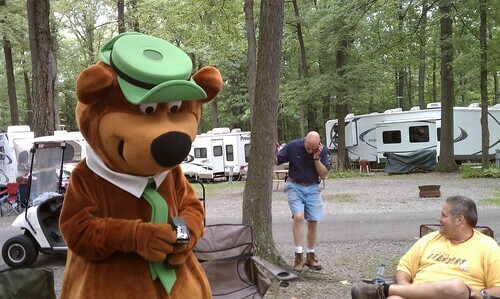 Until then, I think it’s time to charge a few batteries and go scout some locations. 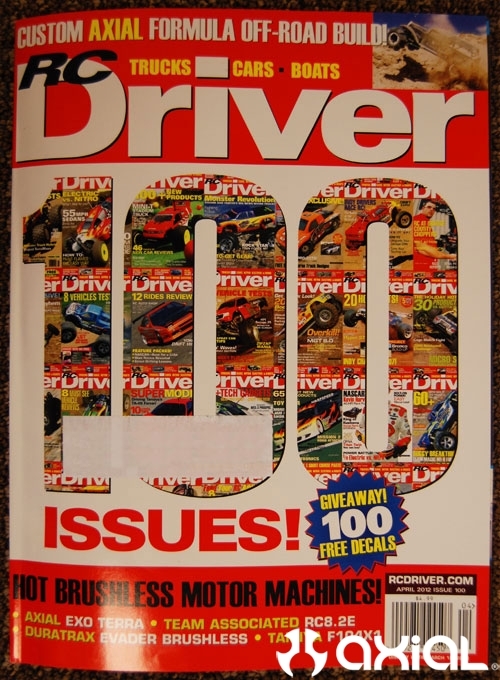 RC Driver magazine has hit a milestone…………….their 100th issue is about to hit newstands. 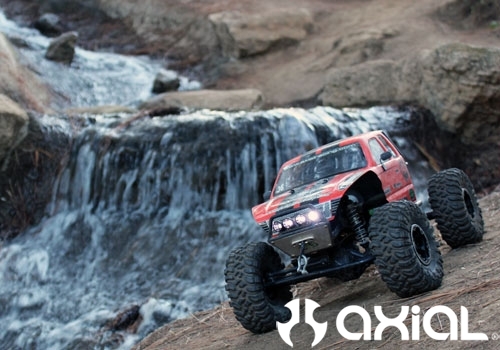 Axial would like to congratulate them on this historic feat, way to go guys!! 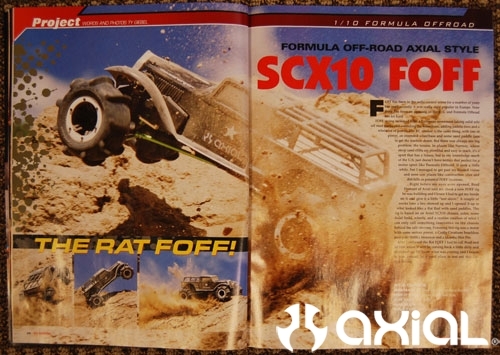 One vehicle that is featured in this special 100th edition magazine is a custom formula offroad SCX10 that I built a few months back. 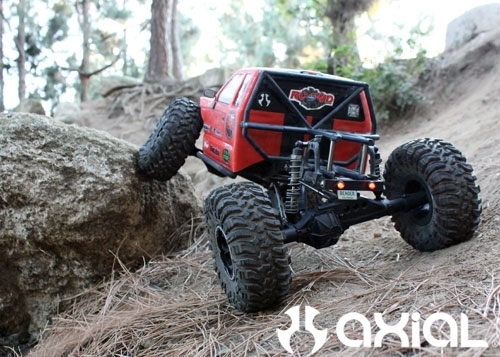 I sent a sneak peek photo of this rig to Ty Giebel, the man behind this article, while it was in the build process. I instantly got a message back saying he wanted to do an article for RC Driver featuring this Rat Rod FOFF in a future edition of the magazine. It was tough to finish the build, knowing that the first squeeze of the trigger wasn’t going to be made by my hand. But, in end I couldn’t turn him down as I knew he would truly do this rig justice with a spectacular article and photos. Here’s a few teaser photos of the new 100th issue, and this Rat Rod FOFF build. There is more to come on this particular rig, but for now this will have to hold you over. If you want to see more, look for this issue at your local newstand. I went out last night for a little shakedown run with my Honcho. 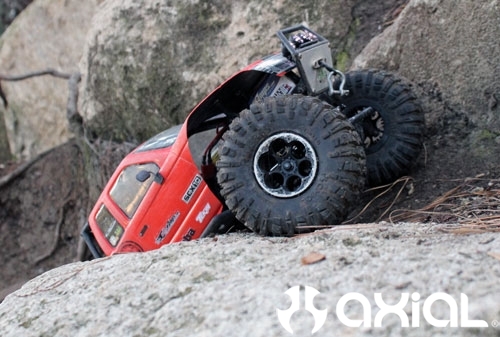 For those that missed it, I recently swapped the stock axles out for Wraith axles. 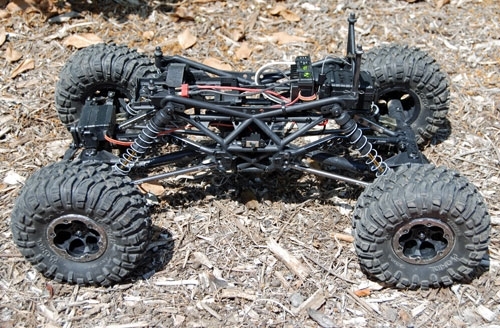 Wraith axles under a Honcho, equals the “Wroncho Build”. 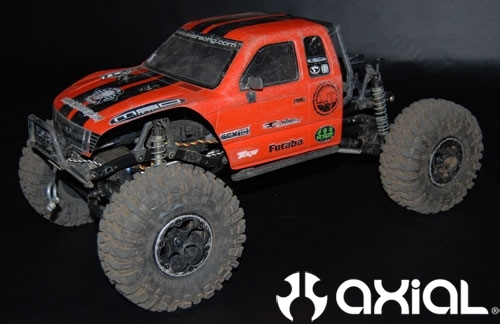 This gave me a wider footprint and the full width one ton axle look. I do need to make a few tweaks to the suspension, but so far it is pretty fun to drive. It is amazing how much more stable it is at high speeds, because of the extra width. 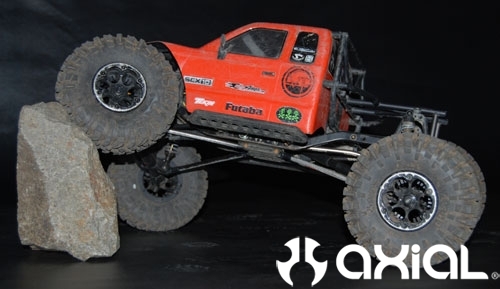 For those that haven’t seen this Honcho before, here is a link to my original build thread on RCCrawler. The full evolution of this truck can be seen there. After I make a few changes to the suspension, I will get out and shoot some video. I will post the video here on our blog when I am done.